I don’t think I’ll ever tire of the far west. 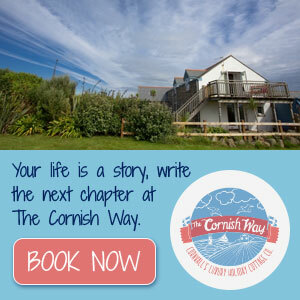 We are fortunate to have such a varied landscape, and today we drove a good few miles to the south and east to an extremely different waterside location from the rugged cliffs and beaches of West Penwith. The Lizard peninsular can seem even more barren and wind swept than around us near Lands End, but on a good day the variety is exciting and worth the little drive out. 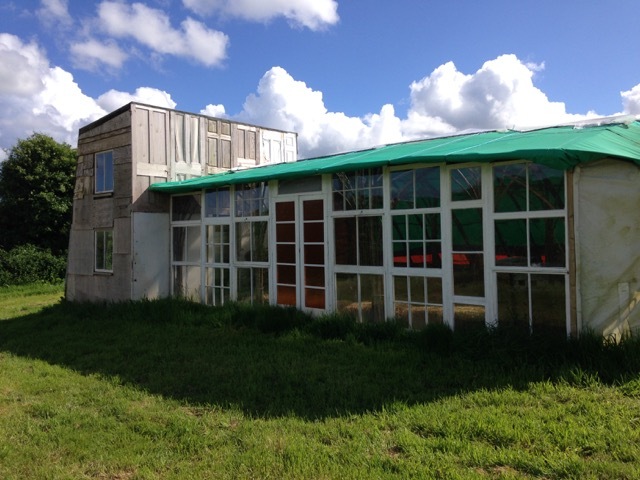 Our main destination was Kestle Barton, a rural centre for contemporary arts. 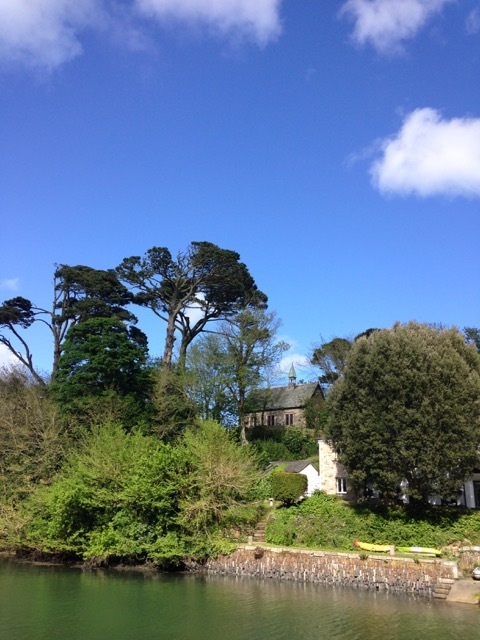 Today was a near perfect day, warm, with a stiff breeze on the coast, but calmer inland. Big fluffy white clouds against a perfect blue sky. Arriving at Kestle Barton raised the degree of perfection up a notch (apologies if that’s qualifying a superlative, but the day felt amazing even before we got there). 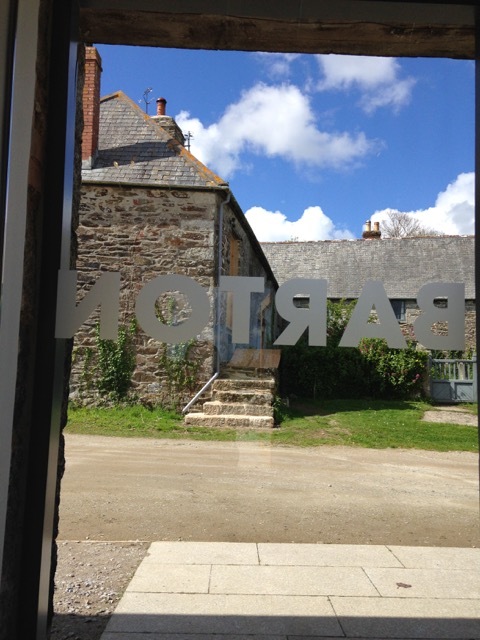 There is a long barn exhibition space in the lovingly restored cob farm building. 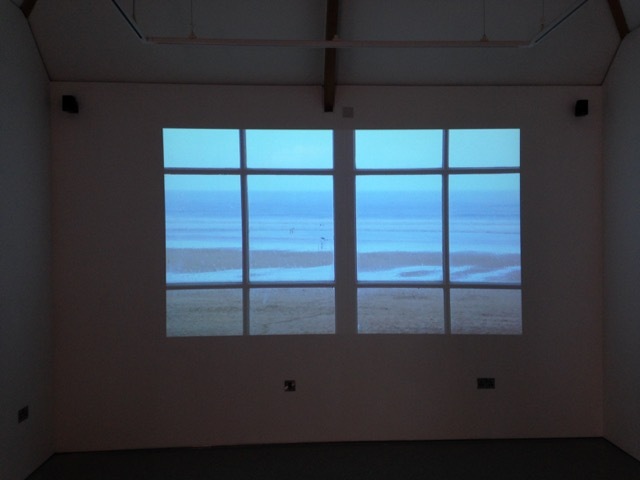 Today it’s given over to a video installation by St Ives based artist Naomi Frears. 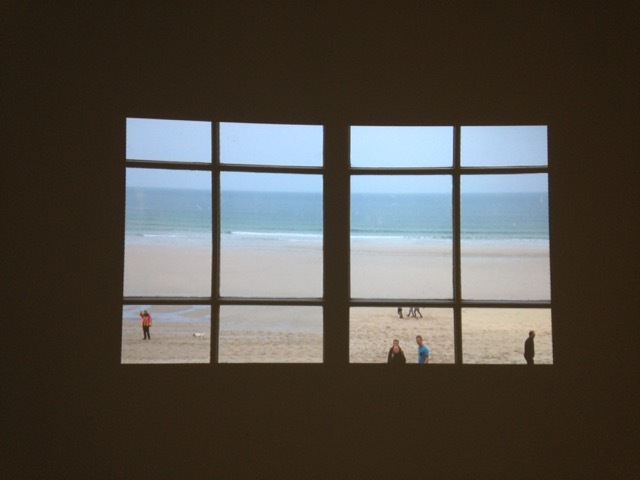 The film of Porthmeor Beach through the studio window is spare and beautiful, and is accompanied by other works from the artist in the entrance hall. 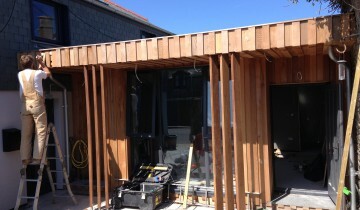 For me today though the inspiration came from the buildings and gardens. 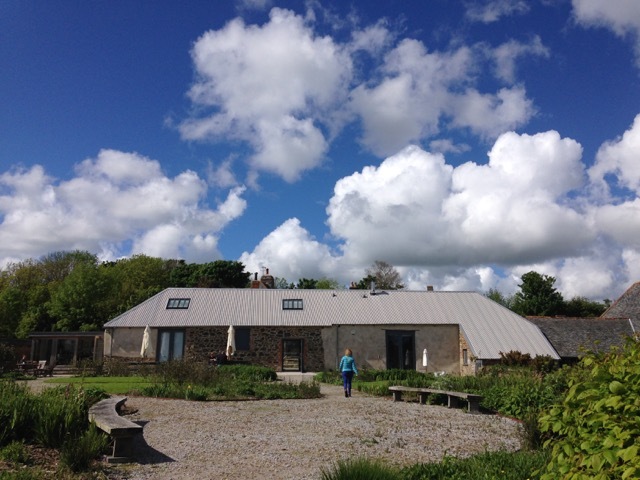 The ancient farm buildings, a mix of cob and old stone, have been lovingly restored under the watchful eye of conservation architect Alison Bunning, with more of the property being brought into use as artists’ apartments, studios and meeting space. The gardens gave me a feeling of calm and peace that surprised me by its intensity. Designer James Alexander-Sinclair has created grassy swathes that drift in the breeze. 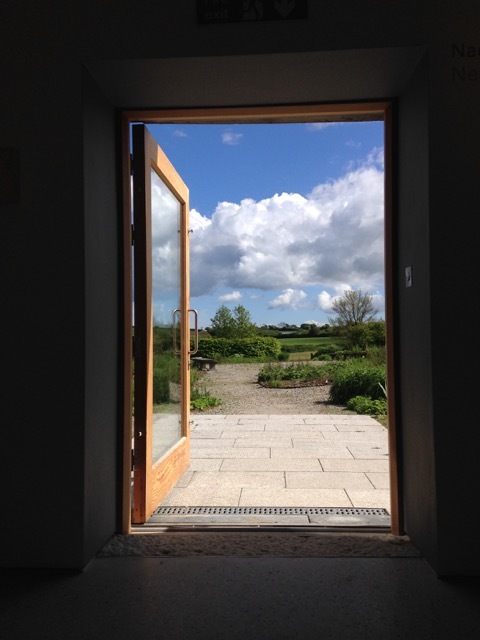 In a few more weeks there’ll be tall verbena adding to the joy, and today the circular small field created by vibrant fresh beech leaves drew me in and I sat transfixed, rather as I have been by James Turrell’s sky spaces on a good day. Beyond the reasonably formal, yet still relaxed gardens are the wild flower meadow and orchard where Paul Cheaney’s curious project Encampment Supreme sits. Paul envisioned and researched a scenario where the Lizard Peninsula was cut off from the world by some post-apocalyptic event. It considers how a new agrarian economy might develop and even holds events to consider progress, or otherwise. 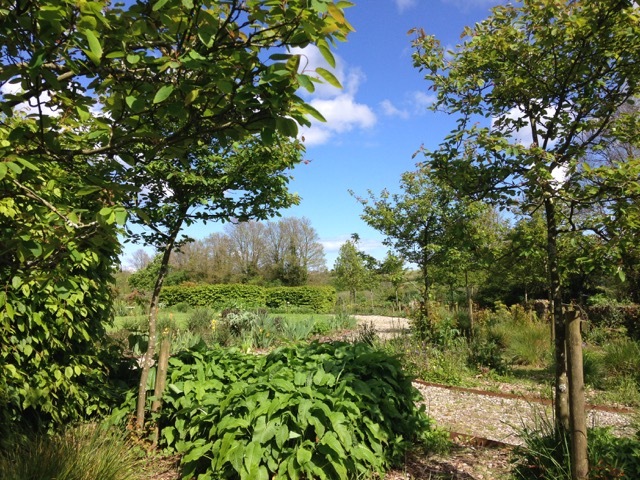 Kestle Barton works on many levels, and even if you only appreciate the serenity of the gardens then it’s worth the distance. Then add the buildings, the art and the journey to get there and it’s a special day out indeed. Did I mention the journey? Every element of ours today was enough for a great day in its own right, and combined – well, as I said at the start – it was as close to perfect as I can remember. 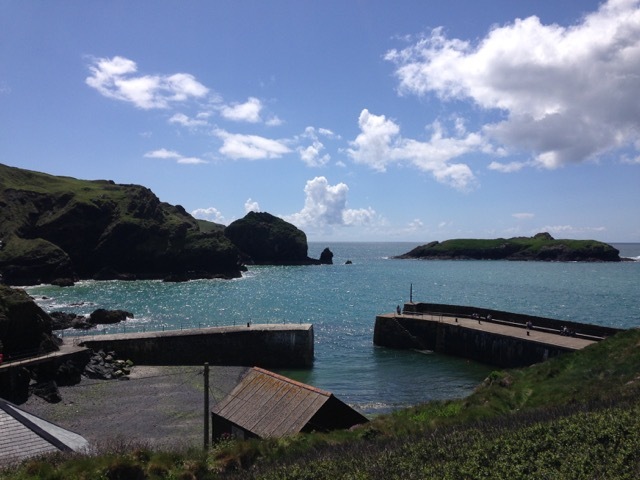 Mullion Cove was our first stop – good at this time of year, but too busy in another few weeks. 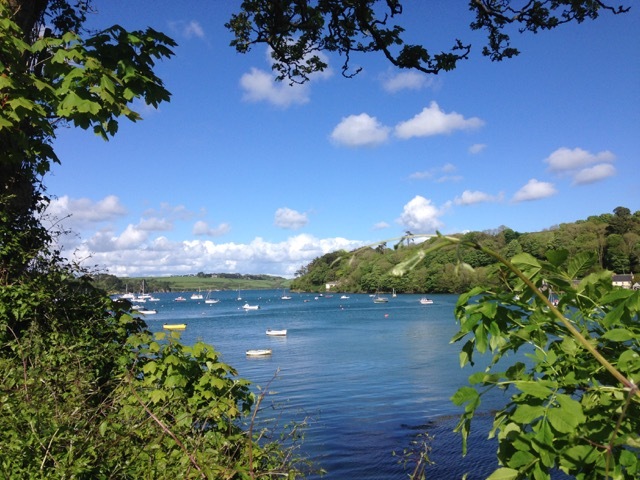 And then after Kestle Barton we headed a few miles further to Helford, the picture perfect and achingly romantic little hamlet on its eponymous estuary. 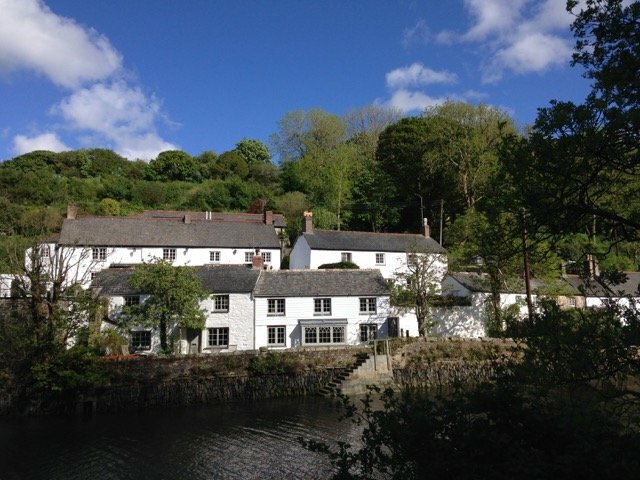 It’s just a shame that Polly was shivering from her swimming and so we decided not to visit the incredibly alluring Ship Wright’s Inn where they suggest you throw your watch in the river and start living on Helford Time – tempting indeed. 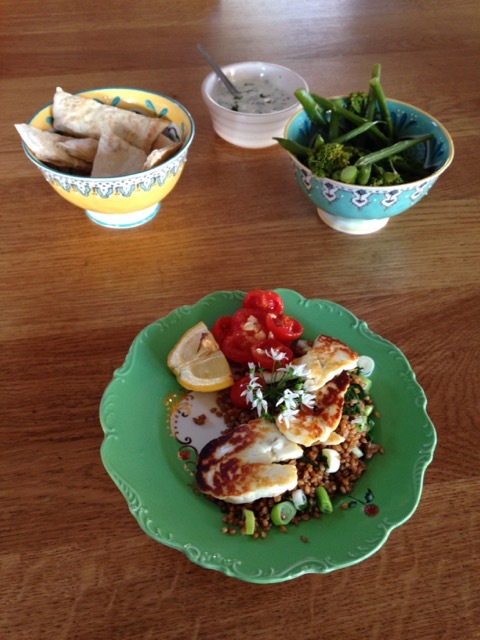 Then to cap it all it was home for a tasty meal garnished with wild garlic picked at Helford. 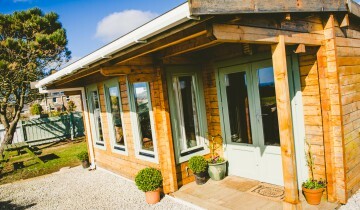 Idyllic, indeed, and picture perfect; couldn’t have chosen better myself! J.